Dianne Feinstein: Terrorist sleeper cells are in the U.S.
A Senate leader said Sunday she thinks terrorist sleeper cells are in the U.S. — a claim sure to spark even greater fears of a strike on the homeland as the White House launches new efforts to confront growing Islamist extremism around the globe. 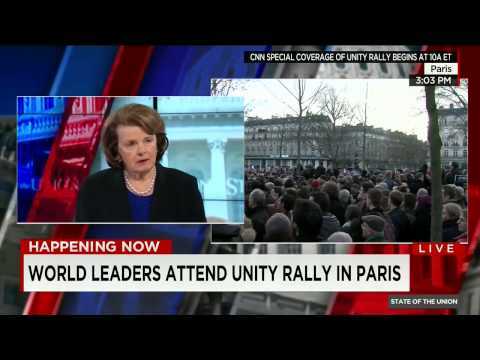 Sen. Dianne Feinstein, California Democrat and her party’s ranking member on the Senate Select Committee on Intelligence, flatly stated that she believes terrorist cells are hiding in Europe and the U.S., waiting to be activated and carry out attacks similar to the ones that claimed 17 lives in France last week. Mrs. Feinstein and Obama administration officials did not elaborate on how many suspected terrorists are in the country, nor did they discuss details of any terrorist plot. Despite the apparent lack of specific threats, polling data show the American people are deeply worried about a strike in the U.S.
A Rasmussen poll released Sunday shows that 65 percent of Americans believe it is at least somewhat likely that an attack “on those critical of Islam” in the U.S. will occur over the next year. Just 26 percent said such an attack is not likely, the survey shows.